Today’s photo:Getting the bread. This shot was taken in Nalliers, on the river Gartempe in the Vienne region of France. 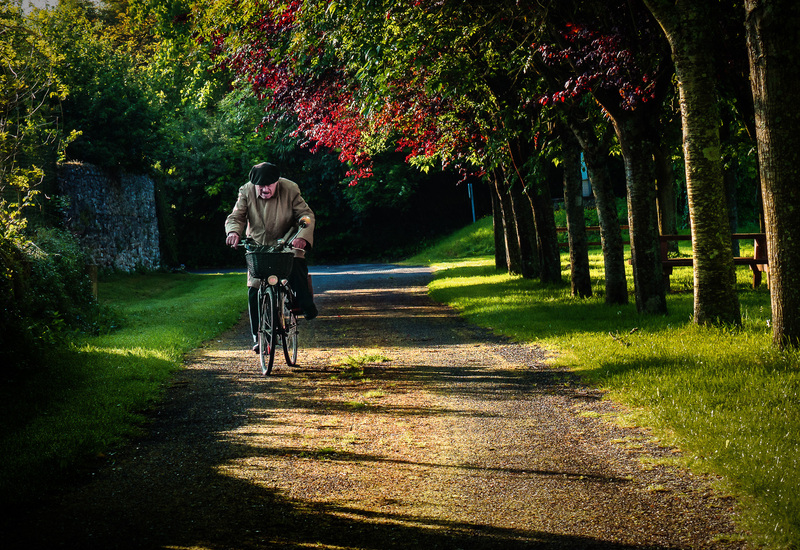 The old gent was notably wobbly on his bike, and seemed to be heading out to get his morning baguette. Note: Click photo to enlarge – back button to return. This now works for the photo above and prior photos. Apologies for not noticing it was not enabled.